The Akong Tulku Memorial Soup Kitchen is an annual feature of the Kagyu Monlam. 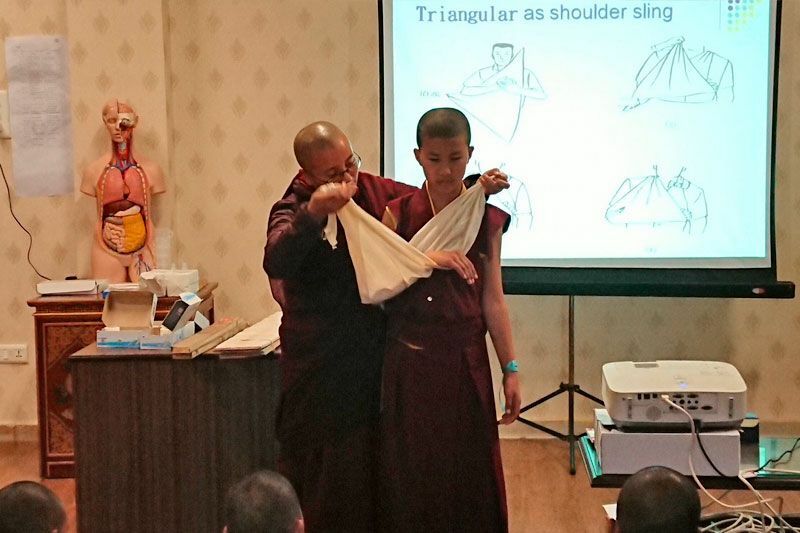 In 2004, a small group of Buddhists from Samye Ling Dharma Centre in Scotland, students of Akong Rinpoche, came to participate in the Kagyu Monlam for the first time. They were struck by the extent of the hardship and suffering that many people in India endure every day of their lives and wanted to do something about it. So they bought sacks of rice and dahl which they distributed on just one day in the courtyard of the Mahayana Hotel. With the blessings of His Holiness the Karmapa, with continued guidance and support from Kagyu Monlam staff, particularly Lama Chodrak, Lhakpa Tsering and Jangchub Lingpa, and in partnership with the Kagyupa International Monlam Trust, the Soup Kitchen has grown from this small but positive beginning into an annual event that people in Bodhgaya really enjoy. 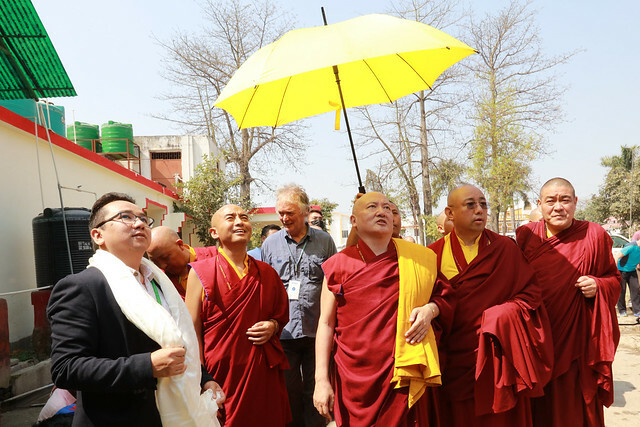 For the past five years the Soup Kitchen and the Kagyu Monlam Medical Camp have worked together, contributing to His Holiness Karmapa’s vision for a world where people express their care for each other through compassionate action. 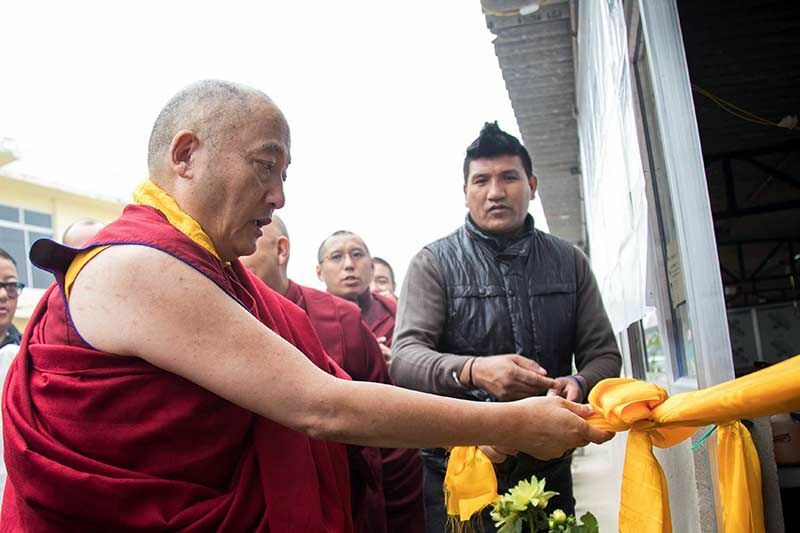 On 28th February both Gyaltsap Rinpoche and Mingyur Rinpoche visited the Akong Tulku Memorial Soup Kitchen. 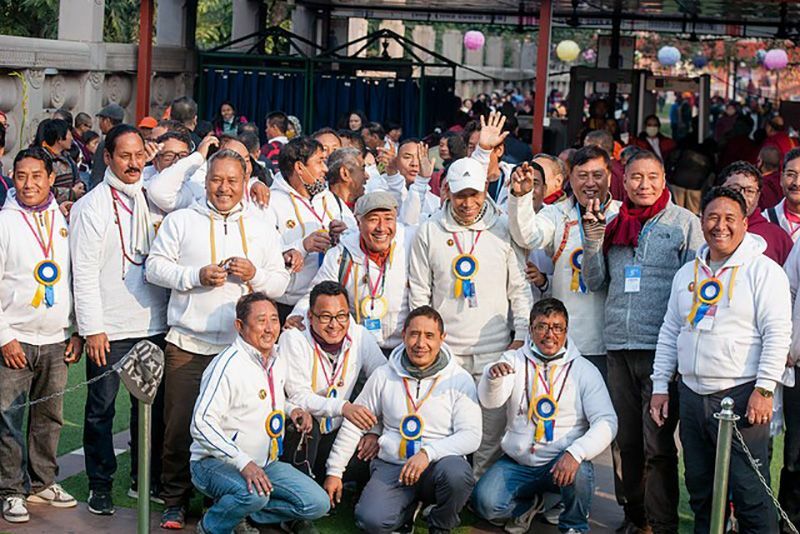 It was a special occasion for the local people who were there to receive food, the cooking team from Tergar as well as the volunteer helpers who had come from all over the world to be part of the 35th Kagyu Monlam. We all felt very fortunate to be blessed by the presence of these two great Rinpoches. The Soup Kitchen serves nutritious rice, dahl and vegetables to around 500 people each day during the Kagyu Monlam. Local people of all ages come to enjoy the hot food and warm friendship on offer as well as having access to free medical treatment. A dedicated team of cooks and helpers from Tergar under the direction of Lama Tenzin cook the food on site, starting early in the morning to have the food ready for lunchtime. Our enthusiastic volunteers then help to serve the food on banana leaf plates and spend some time getting to know the local people. The barriers between us soften as those of us who live a privileged life work to satisfy the needs of those who have very little: we are all enriched in the process of giving and receiving with kindness. We stop just seeing each other as tourists and disadvantaged when we remember that we are all human. Akong Tulku Rinpoche, who died in 2013, was well known for his humanitarian work all over the world and especially in Tibet. 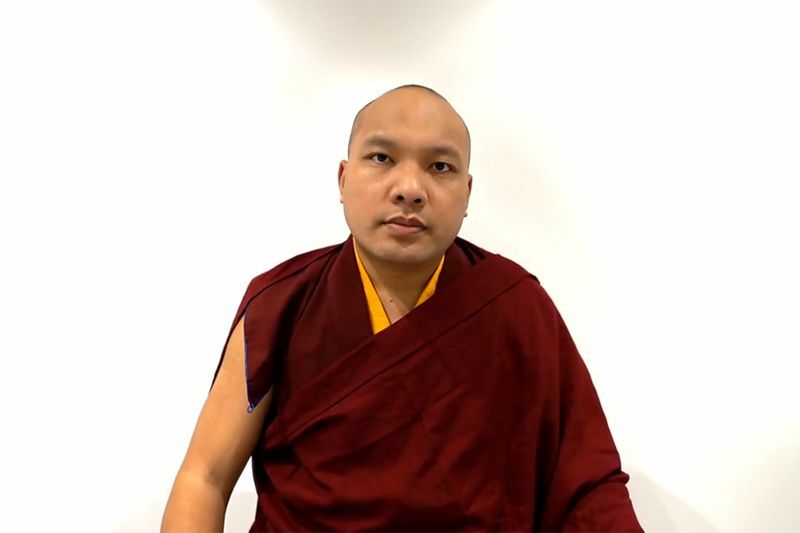 His Holiness Karmapa has said that Akong Tulku has provided an example to Lamas in the future because he showed it is possible to provide both spiritual guidance and social service. 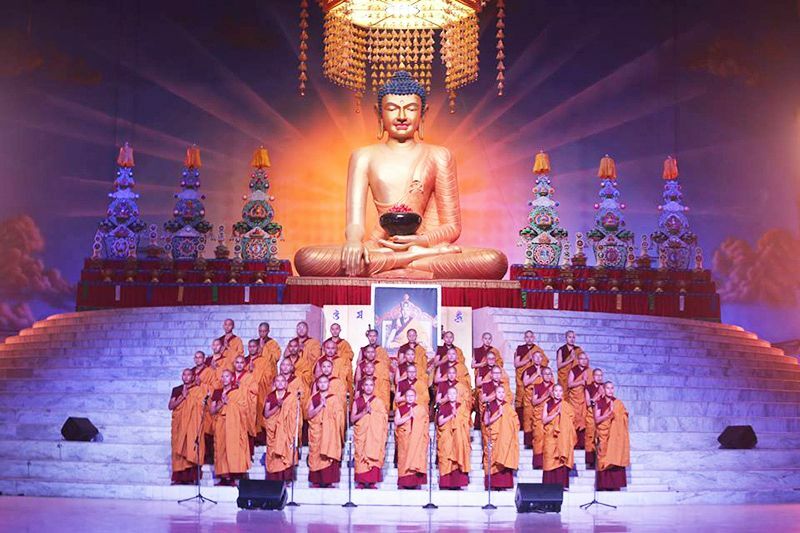 Everyone who wants food and anyone who wishes to help are all made very welcome as we work together to create auspicious connections, to plant seeds of love and compassion, doing our best to fulfil the vast aspirations of the Kagyu Lineage Holders.